I accomplished this today! It looked overwhelming and definitely wasn't easy, but we made it! We used 30 lb kettlebells. You can alternate your sets as needed. For instance: 2 sets of 15 push-ups and a set of 10, alternating sets of 10 for box jumps, and 2 sets of 15 walking lunges. There was also an extra challenge added - if you got ahead of your partner or had to stop and put down the weights, you and your partner had to do 5 burpees! This one took team work. You can substitute step-ups for box jumps if needed. If you don't have a box, just do step ups on a kitchen chair. We did weighted walking lunges using 25 lb plates (holding it overhead with arms locked out). 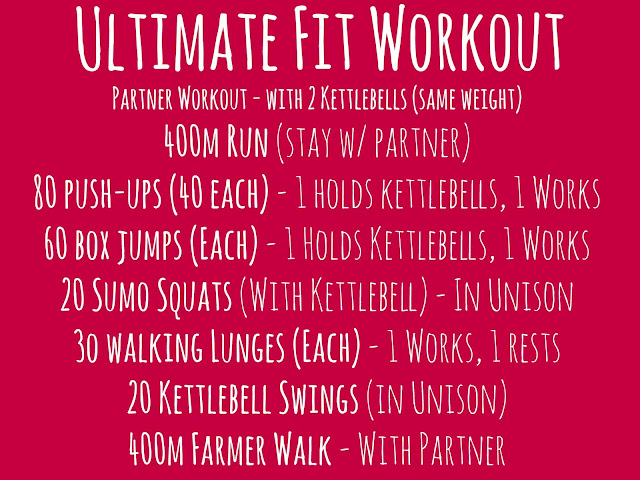 You can use the kettlebell or just do normal walking lunges. A farmer's walk is where you hold the weights in both hands and walk that far. Keep your shoulders back. 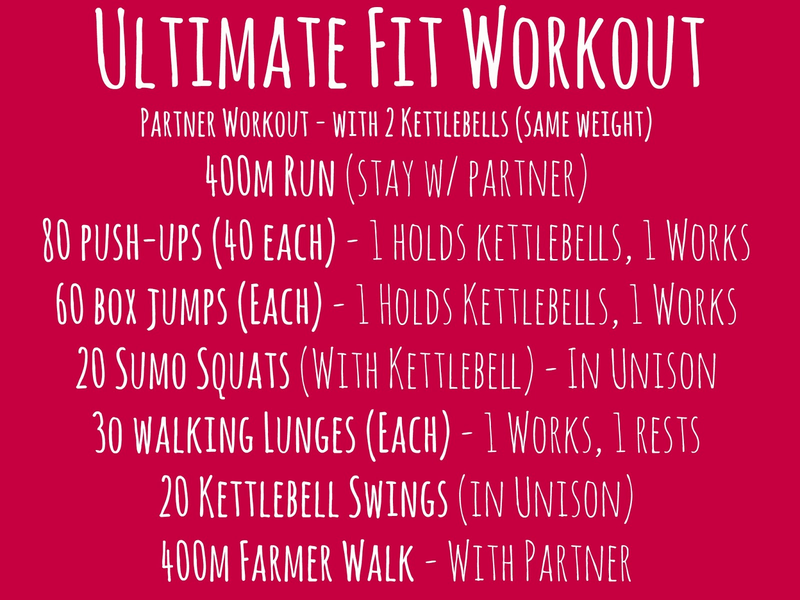 If you don't have enough kettlebells to do the farmer walk together, trade off.